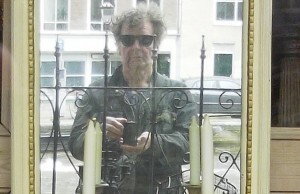 Tony Glover is a writer and film-maker, born in Northumberland. 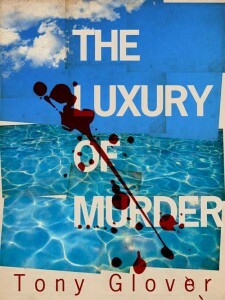 He has published two crime novels, Cars Just Want to be Rust and The Luxury of Murder. The third book in the Kitty Lockwood series, Footsteps of the Hunter, is published in 2018. Radio Award and earned Tony the title of BBC North Playwright of the Year. In 2007 he won the Northern Echo New Novelist of the Year award. Irene’s Story, a film about bi-polar disorder, won a Millenium Award. His film Posh Monkeys won a Royal Television Society award and was promoted by the British Council at the Angers, Munich, BAFTA, BP Expo and New York film festivals. His stage plays include Chase Me I’m Chocolate, Slappers (staged at the Unity Theatre Liverpool) and The Stars that Surround Us (staged by Cloud Nine Theatre Company at Newcastle Playhouse). Sticky Fingers won the People’s Play award and was staged at the People’s Theatre. Year of the Tiger was filmed by Wildcat Films for Yorkshire Tyne Tees. I Want My Baby, devised and produced with young people from Greenfield Arts Centre in Newton Aycliffe, recently won an Impetus Award. Tony was a visiting lecturer at the University of Northumbria from 2009. He has taught a variety of courses both undergraduate and MA. He currently teaches Creative Writing at the Hearth Arts Centre in Horsley, Northumberland.